While they do play an important role in our ecosystem, they can also be very destructive, costing homeowners 5 billion dollars worth of damage each year. Whether you’re buying, selling, refinancing your home, or simply enjoying the one that you have, termites are a potential threat to your biggest investment. 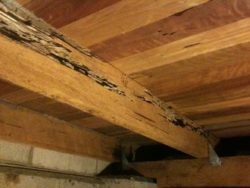 Once termite activity has been confirmed in your home, it’s critical to get a targeted treatment done to prevent any additional damage. Liquid treating the area where termite activity is seen guarantees total colony elimination, all the way up to the queen. Our technician will assess the current damage and create a personalized treatment plan for your home. 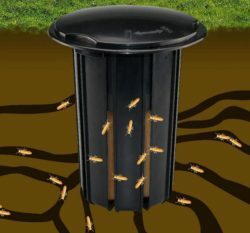 The average home has 3-5 termite colonies foraging in the ground around it, which means it’s important to constantly monitor termite activity around the home. Once the immediate treatment solution has been applied, we’ll install monitoring stations around the perimeter of the home. 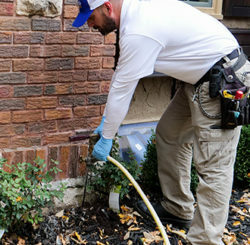 These stations stop termites before they get to your home, and give us the opportunity to treat the surrounding area before any new damage can be done. Although we’re confident in our bait station’s ability to eliminate termite colonies, our treatments include an annual service agreement. 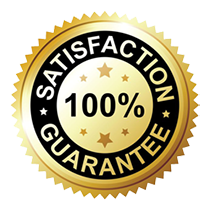 If any termite activity is suspected, we’ll inspect and spot treat at any time for free. Your treatment also includes a $5,000 repair agreement . This means that if termites cause any new damage to your home, we’ll cover up to $5,000 worth of repairs. Renew your protection each year for a lifetime of termite protection!